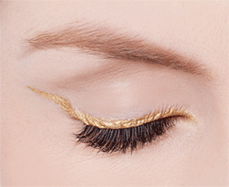 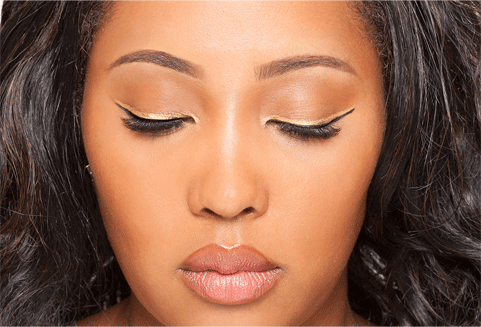 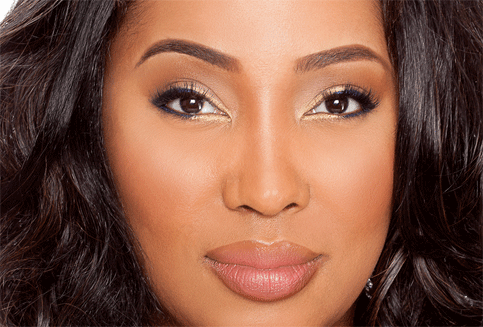 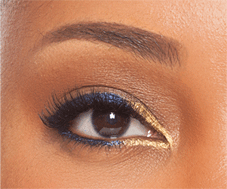 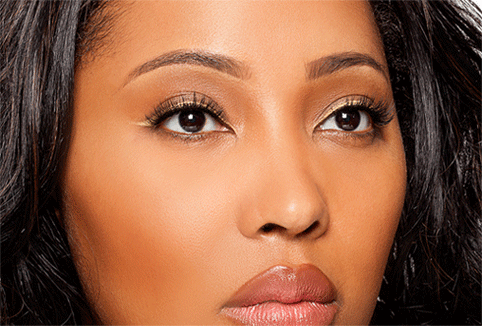 UPPER LASH LINE Line your lashes with GlideLiner™ Xtreme Gold, creating a wing at the outer corner to make your eyes sparkle. 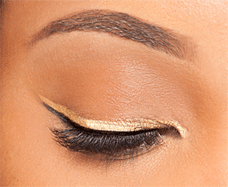 INNER CORNER Make your eyes look bigger and brighter by applying GlideLiner™ Xtreme Gold on the inner corner of your eye. 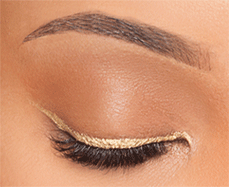 Combine with GlideLiner™ Sapphire to add definition. 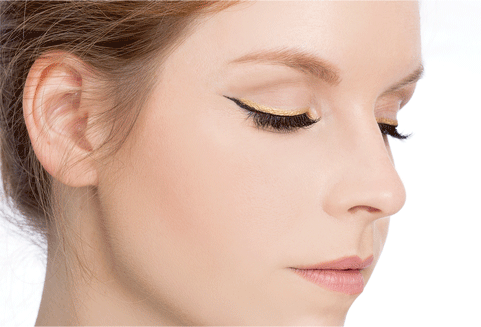 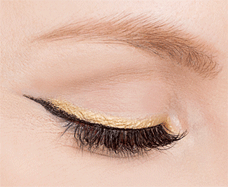 DOUBLE UP Transform your day look into night by layering GlideLiner™ Xtreme Gold over a line of GlideLiner™ Xtreme Black.